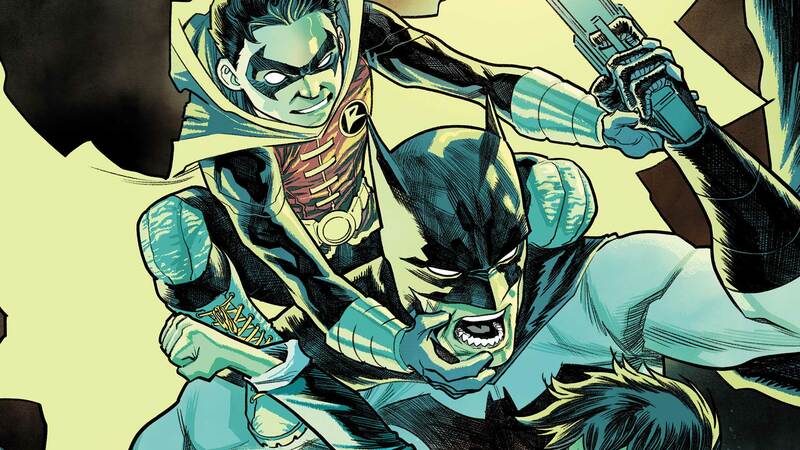 The Super Sons are on the run after discovering Superboy’s dark destiny—and the Batman of Tomorrow has recruited the Teen Titans to stop them! But the reunion gives way to the big question: Is the life of an innocent child worth more than the lives of millions? It’s the Teen Titans vs. the Super Sons in the battle you’ve been waiting for! Collects SUPER SONS #11-12, SUPERMAN #37-38 and TEEN TITANS #15.